For this month's update, we are showcasing more of our built heritage work, with updates on work related to our fisheries heritage program, and an expansion of our documentation work on our registered heritage structures, including the newly designated Salvation Army Citadel in Elliston. Also, we have more information on our ongoing project to digitize oral history collections in Grand Falls-Windsor, and notes on the recent Canadian Declaration on Intangible Cultural Heritage in support of Canada ratifying the 2003 UNESCO convention on ICH. Contributors: Dale Jarvis, Terra Barrett, Andrea O'Brien, Michael Philpott, and Celeste Billung-Meyer. 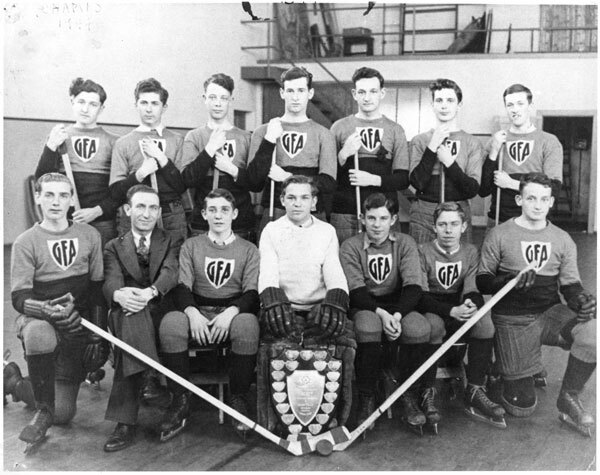 Grand Falls Academy Series , Item 1.26.01.279, 1944.